In the 1970’s and 80’s, the Syria Mosque became more of a destination for new, edgier Rock and Punk shows that attracted students from nearby University of Pittsburgh and Carnegie Mellon University. The Pittsburgh Symphony Orchestra officially relocated to Heinz Hall in 1971, leaving space for new musical acts such a Bruce Springsteen and the E Street Band, who made their debut Pittsburgh performance in 1975. August, 1975, was a breakthrough month for Springsteen. 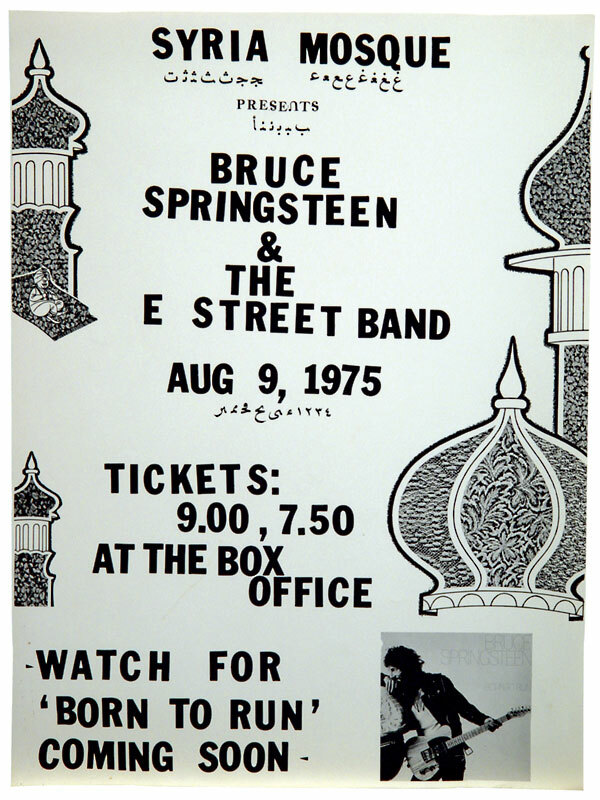 Just four days after his performance at the Syria Mosque, Springsteen began a 5-night, 10-show stand at New York’s Bottom Line club, releasing Born to Run one week later.